Didn’t Make It To Monterey Car Week? Read the SCM November Issue! 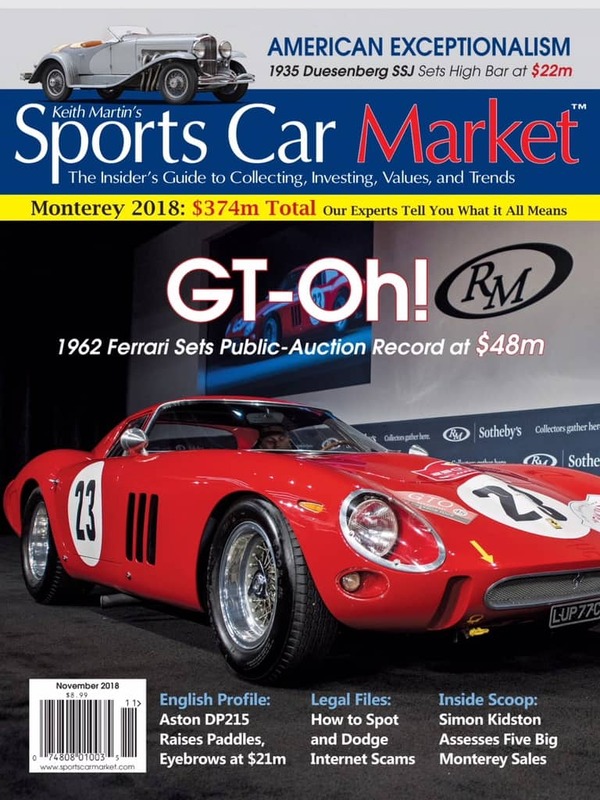 The SCM Monterey issue is about to hit the newsstands. The hard copy arrived in my mailbox today. The quality of this venerable publication is just going higher and higher. The SCM team works tirelessly to produce a first-class magazine that is accurate and well edited. 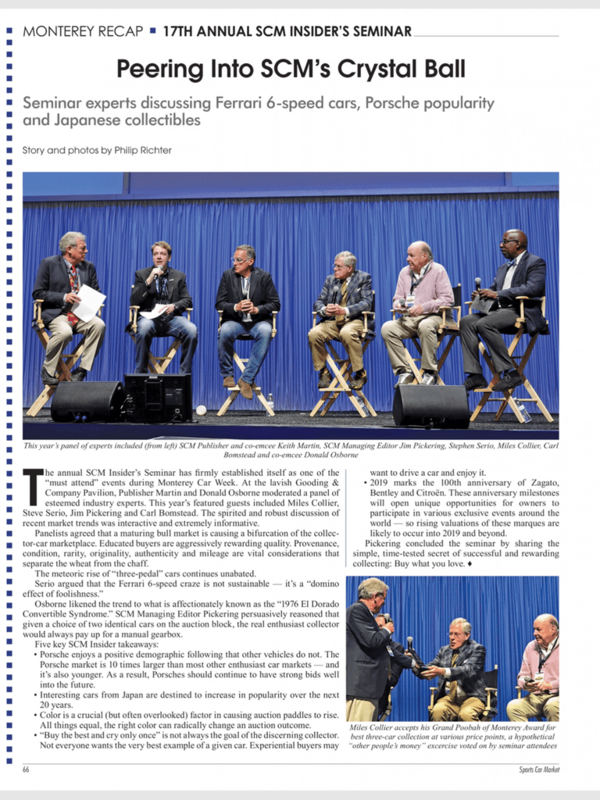 The coverage of all the activities of Monterey is comprehensive, robust, and well written. One read of this issue and you will feel like you went to Monterey—but were spared the travel, expense, and exhaustion! 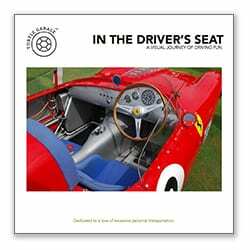 This issue covers everything from the record breaking Ferrari GTO sale to the action at Concorso, Legends, and the Quail. Below are two articles we produced for the November issue as well as our new advertisement. 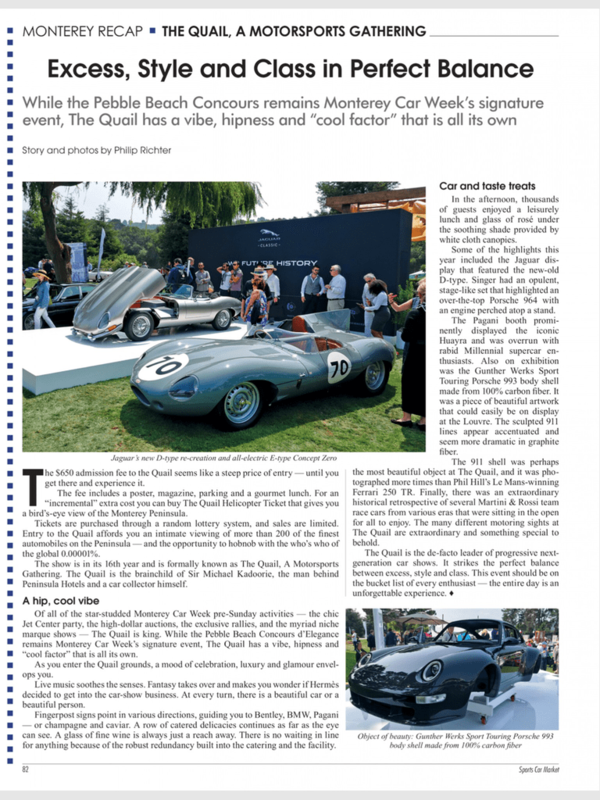 Our coverage of the Quail—a fantastic must attend bucket list event! Our coverage of the SCM Insider’s Seminar—this year was a fantastic event. 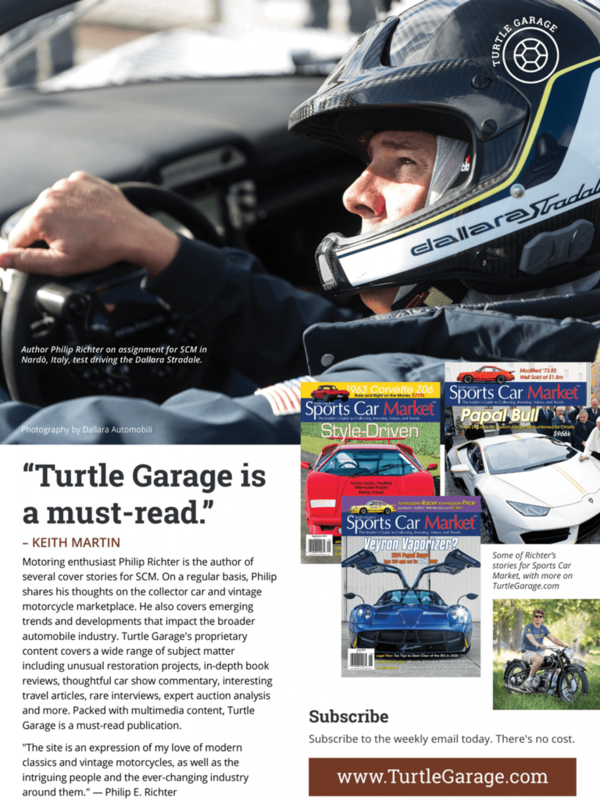 The advertisement for Turtle Garage in Sports Car Market’s November issue. 1972 Ford Gran Torino Squire Wagon: Ludicrously Well Sold!